At the heart of the Blue Crane Route and the foot of the Bosberg Mountains lies the picturesque small town of Somerset East. 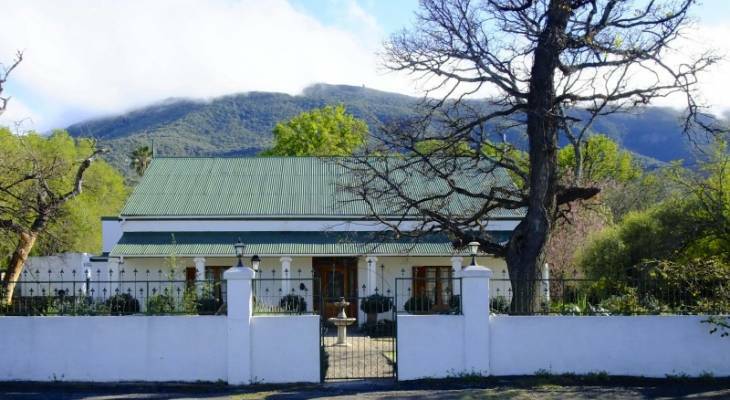 Somerset East is set with a beautiful backdrop of forested mountains and from it you can see 16 waterfalls. Outside the town is the 2000-hectare Besterhoek and Bosberg Nature Reserve with its thickly wooded kloofs with White Stinkwood and Outeniqua Yellowwood. There are wild olive, cabbage trees and wild peach in some of the thickly wooded areas. Visit the Spring Rose and Flower Show and the Somerset East Agricultural Show, usually in September. The Glen Avon Waterfall and Old Mill may be viewed by appointment only. The Walter Battiss Art Gallery holds the largest collection of this famous artist's work. Somerset East overview. Somerset East Accommodation and Information.